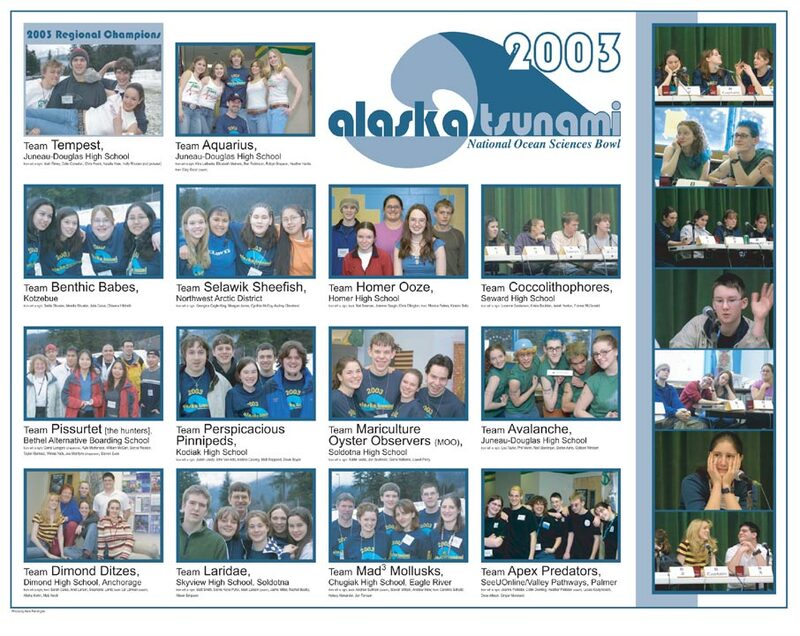 The Alaska regional competition of the National Ocean Sciences Bowl has been held annually since 1998, followed a year later by our regional NOSB website. The links below offer a look back at past competition results, art shows, research papers, teams, photos, and more. Also see research paper archives. The sea geeks are coming! High school ocean sciences bowl attracts record number of "sea geeks"
Last modified 29 August 2016, 5:03am AKDT. Contact: Alaska Sea Grant web coordinator.